3395 Square Feet (315 Square Meter) (377 Square yards) 4 bedroom contemporary villa with shops on basement floor. 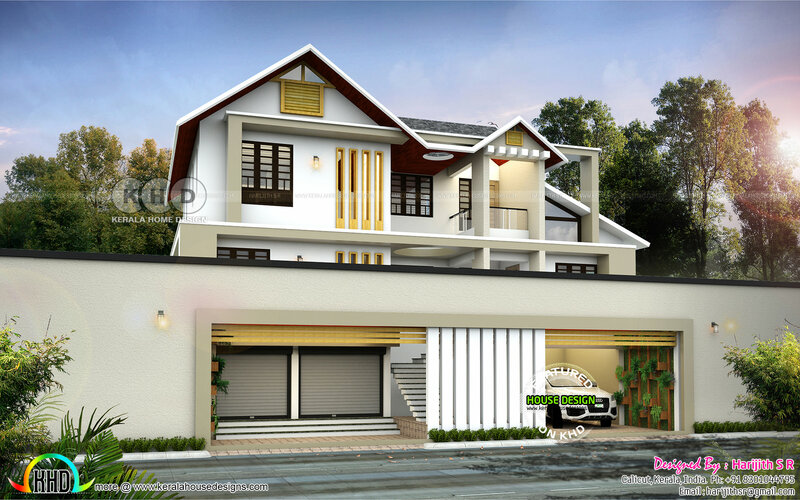 Design provided by Harijith S R, Kerala. 0 comments on "Contemporary style home with shops on basement floor"